My “love affair” with fillo (filo or phyllo) continues. Here are some recent recipes and pictures I did for the wonderful people over at Antoniou Fillo Pastry. With the weather finally starting to getting a little cooler I’d like to offer you some inspiration and ideas to get you in the kitchen. (Click on the links to see the recipes). 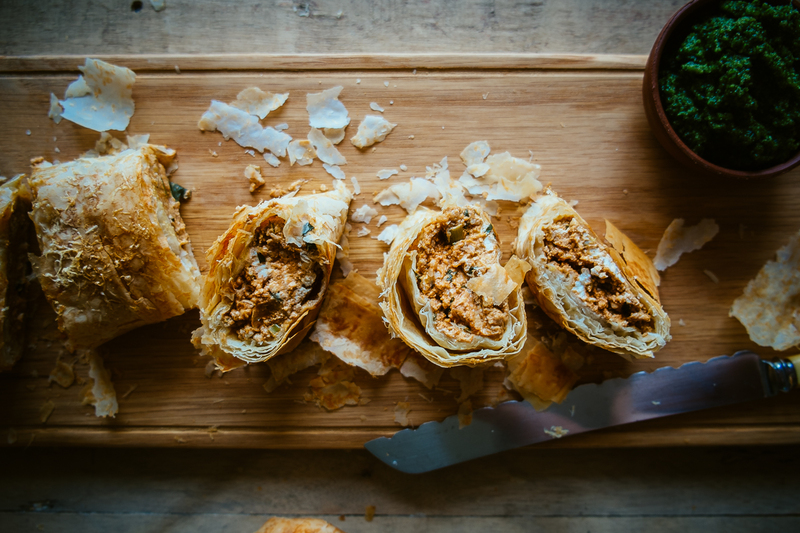 With pumpkin so readily available this Pumpkin and Feta Roll makes a great brunch or lunch. Serve it up with some basil pesto and you’re on your way to achieving near perfection. 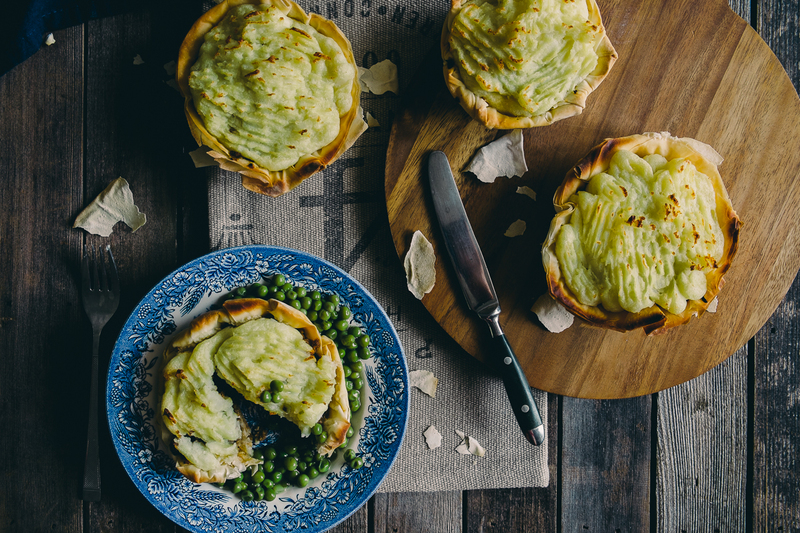 Pies are fun to bake and it doesn’t get any better than these individual shepherds pies made with a fillo pastry base. My taste testers i.e. family and friends loved these because of their lighter base. Don’t forget the braised peas to make it a complete meal. Strawberry shortcake kataifi stacks. I’ve taken this iconic shredded pastry and mixed it with a little mascarpone and balsamic marinated strawberries. It’s bound to bring a little sunshine to your day! Hope you guys enjoy this round up of delicious fillo recipes. Enjoy your weekend and I’ll see you next week.